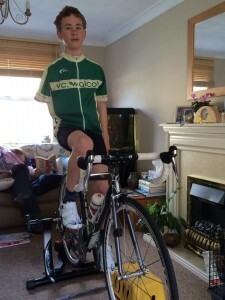 Morgan has always enjoyed riding his bike, and started going out for weekend rides with his dad when he was 10. Soon after he was regularly riding 30 mile club rides on a Sunday, and enjoying the cake stops! 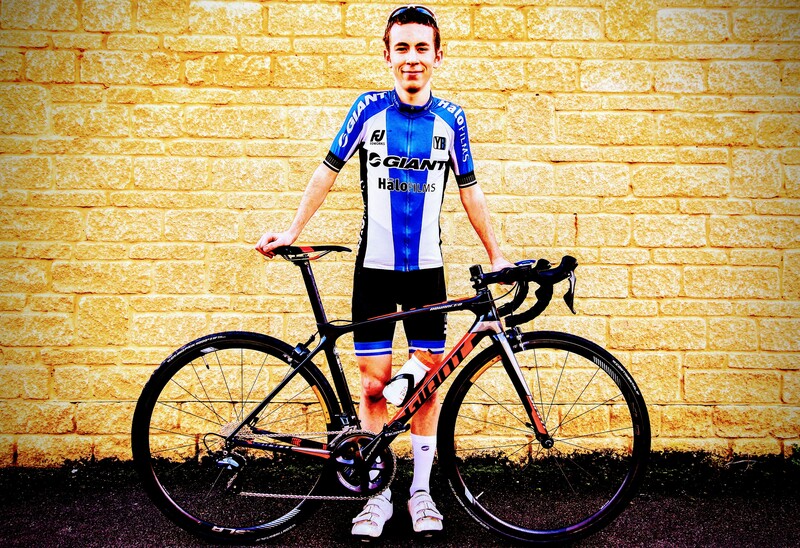 In 2013 he joined Sulis Scorpions YCA in Bath, and the fantastic coaches really brought his riding on. 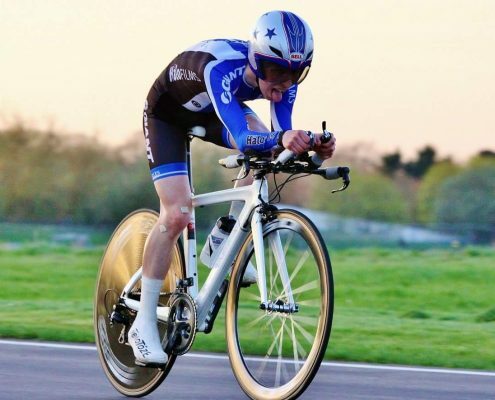 He regularly won the club mini TT, cyclocross and circuit races, and so towards the end of 2013 he decided he would like to try a proper British Cycling race. He took part in three races at Odd Down at the end of the 2013 season, and he soon found out that he needed to work hard if he was to compete. During the winter Morgan spent lots of time riding, and In 2014, his embarked on a first proper season of competing. 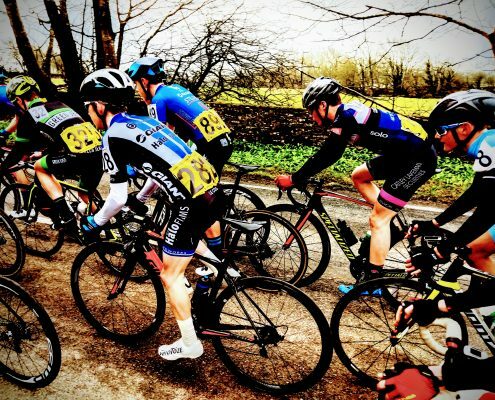 A good first run out at Ilton early in the year saw him finish in 5th place, and things were looking promising – but then disaster struck at Castle Combe in the Easter Classic. 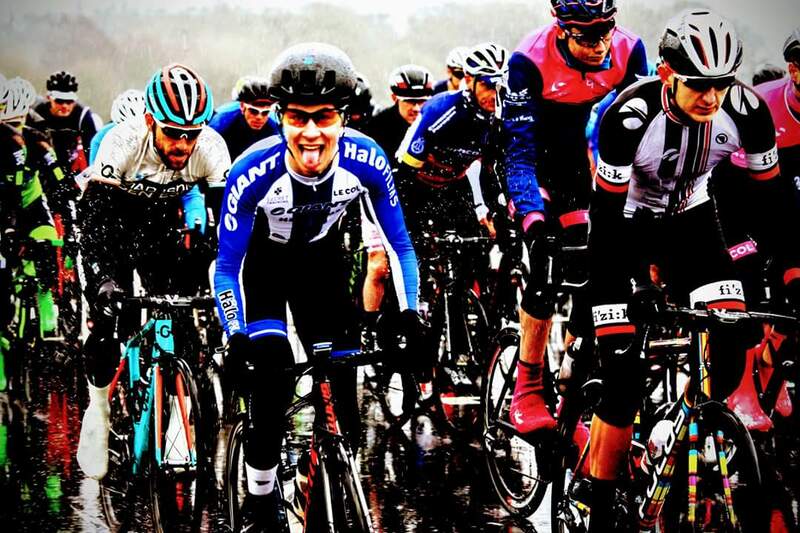 A crash at the front of the pack took down three riders, and unlike the two others, Morgan did not get back up. A trip to hospital confirmed a broken collarbone and a good part of the season would be missed. But to prove that you can’t keep a good man down, within a week a return to light training had happened. This and work sent from school helped pass the days until the sling came off and he was declared “fixed”. Morgan came back from injury to claim a couple of wins and other points places, finishing up with a national ranking of 54 in the under 14 boys. The set back had been a real blow, but he worked hard and got back on form towards the end of the season. 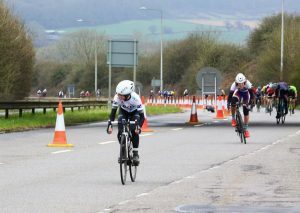 Wins came at Odd Down and Ludgershall, but I think nothing gave more satisfaction than the 3rd place achieved at Castle Combe in his first race back. 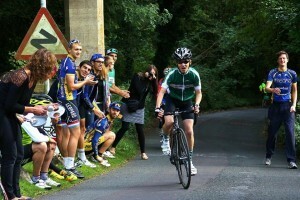 Morgan rounded off the season by winning the U16 youth category of the VC Walcot Hill Climb. This was a very proud moment for him and a winners jersey he treasures. It really was a fantastic day, lots of noise and colour on the hill. Great support and cowbells rang to encourage the riders on their way. 2015 saw a first season as an Under 16, a real step up from the previous year but a challenge that Morgan enjoyed. He worked hard and managed to finish in among the lead bunch in most races he entered, picking up a few points here and there. Towards the end of the season Morgan was really starting to ride well, and probably had his best showing at a race in Exeter. The course had a hill in it and Morgan attacked several times before winning a sprint for a top three finish. 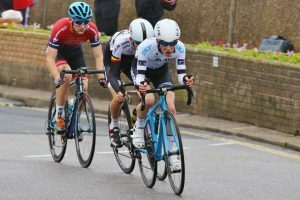 A fantastic ride at the VC Walcot Hill climb in Octobervsaw him defend his U16 title, and he was only 4 seconds off of the Junior winning time – a title he intends to claim in the near future. 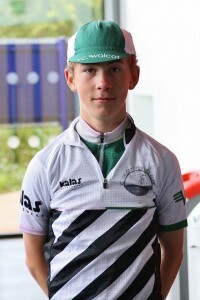 During 2015 Morgan got his first experience of National series competition – both road and track, and also enjoyed attending British Cycling Road and Track RSRs, these were fantastic learning opportunities which he thoroughly enjoyed and made the most of. Towards the end of the year Morgan decided he would really like to push on with his development and started working with Epic Coaching. He has really enjoyed the structure and focus this has brought to his training, and is looking forward to all that 2016 has to bring. 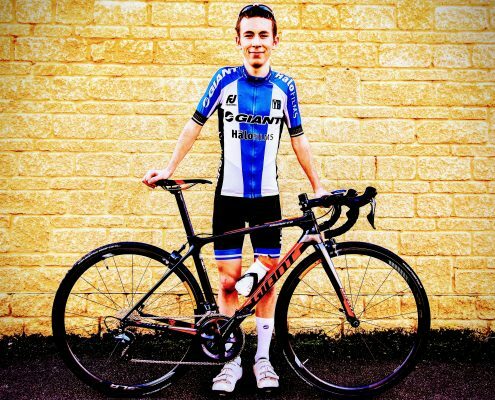 For 2016 Morgan rode for Bristol Cycling Development Squad Academy, and had the best season as ayouth rider he’s had, with several wins and good results at higher level races, including national series race. 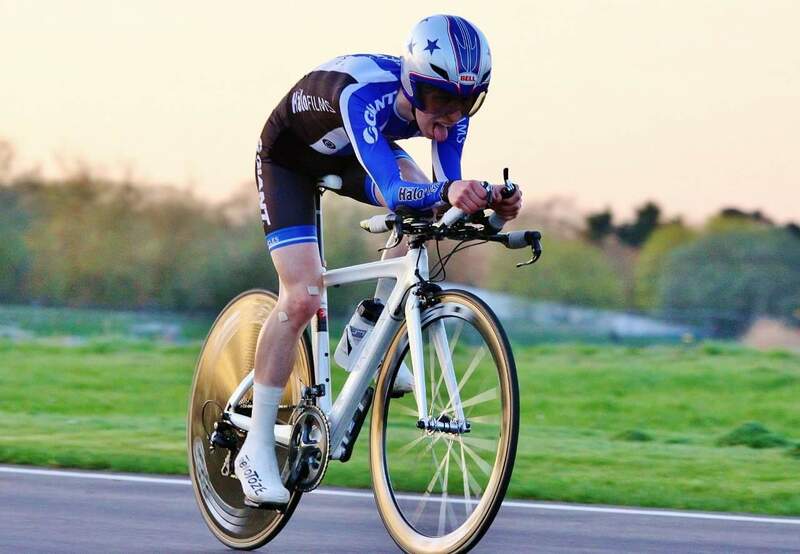 With the emphasis on really doing well in races Morgan started off the season well, coming away with a 4th place at Odd Down, just missing out on the podium after a very strong sprint in the closing stages. This really kicked things off for what was to follow, although later on in the season Morgan suffered with successive crashes in races, that really damaged confidence and meant an absence from racing for a while. 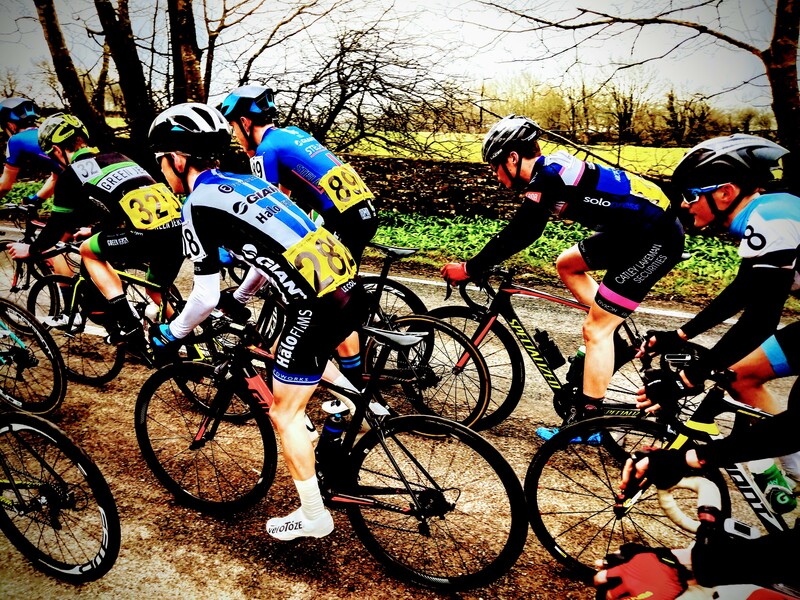 However once going again and over this period, the racing improved, with two great rides at the Seaton crit and at Odd Down, attacking after 5 minutes and staying away from the pack for the rest of the race, around 30 minutes after it was sneakily extended by the comms! Another end of crit racing season meant more hill climbs, and despite battling illness in a couple of them, Morgan managed to win all 3 events he competed in, adding the junior VC Walcot hill climb title to the two youth wins in the previous years. 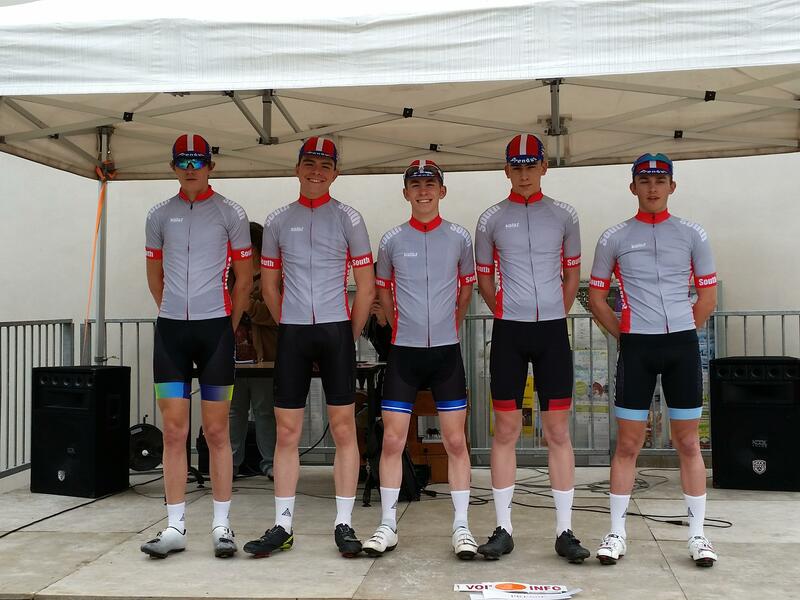 This was a great year, and one where he really developed with ability and confidence, and made some great teammates in a close BCDS under 16 group, who he will race with again for the new season as a junior. 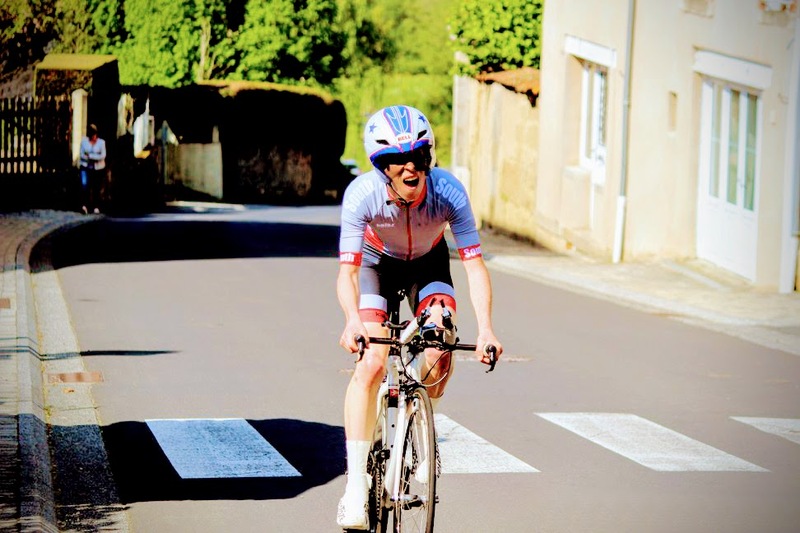 In 2017 Morgan became a junior rider, something he had been looking forward to for a while as it meant racing out on roads, with hills to suit his physique. 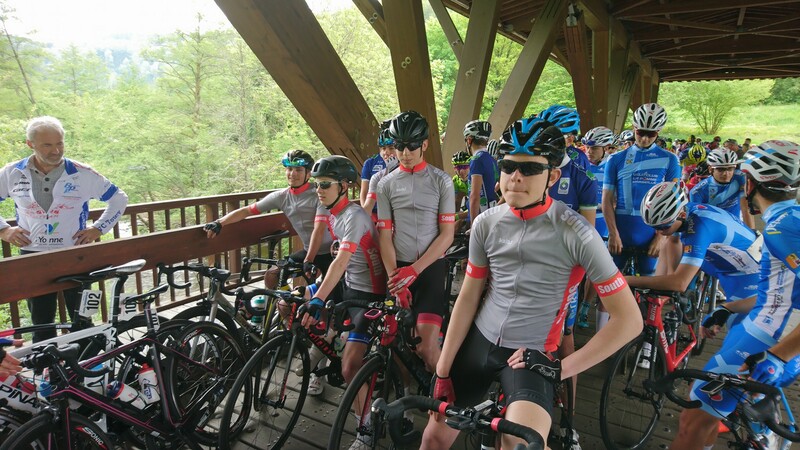 Still riding for BCDS, Morgan started of the season strongly, with high placings in both early season road races and crits. 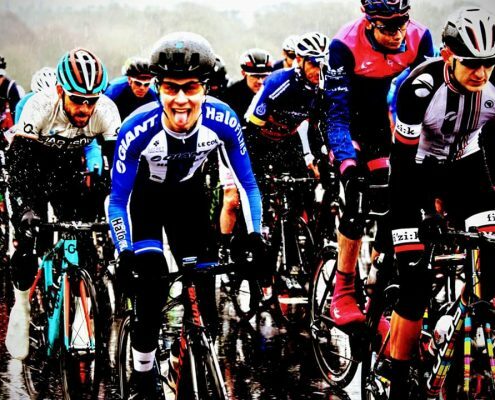 Unfortunately after one of these races Morgan developed a knee injury which prevented training for a while, only just being passed fit for the junior national races. 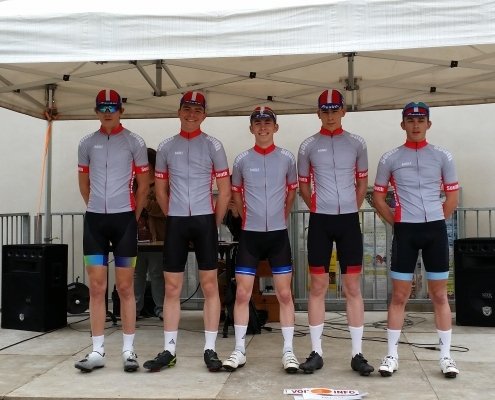 These were great learning and fun for Morgan, and whilst never winning he learnt a lot and found that he was able to stick it with the best riders in the country, and distance riders who had as a youth been ahead of him by a distance. 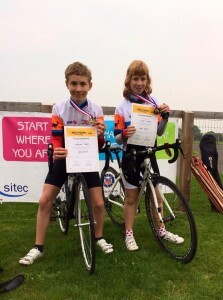 Morgan achieved his 2nd cat license during the half term racing in the middle of GCSEs, and then put out a good showing at the end of the exam season at the Monmouth GP, the biggest ride he’d done for a long time. 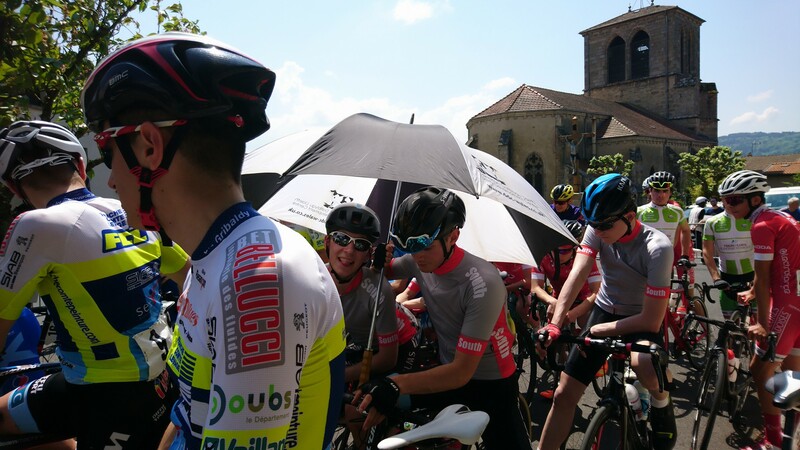 The biggest thing Morgan did in 2017 was ride the junior Tour of Ireland, a week long junior tour with the best junior riders from across the globe, with teams coming from America, Africa and Europe to race. 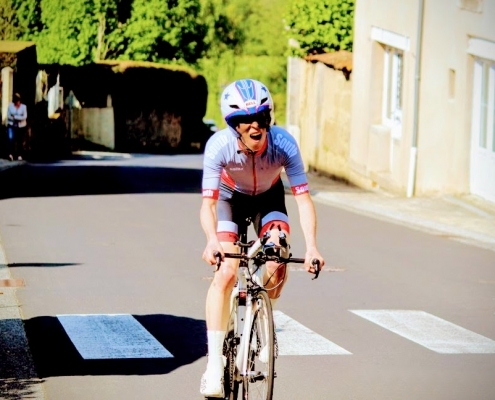 Despite a crash half way through, losing him valuable time and skin, Morgan competed well, and on the final proper road stage was in the mix up the final climb into the finish, just not having the resources to finish it off. Morgan also claimed his fourth successive VC Walcot hill climb title, winning the junior category again, and placing very highly in the overall, and has since been training well and with much improved numbers under the guidance of Halo Coaching, and is looking forward to what should be a successful season ahead. 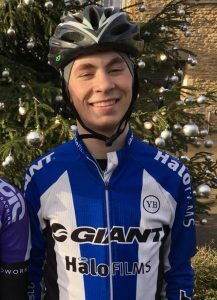 In 2018 Morgan will ride for Giant Halo CC, a team he guested for in Ireland, and with the new team and teammates will look to be up there competing for wins in the junior races as well as local races.